Brighten up your home and halls with this delightful table lamp. 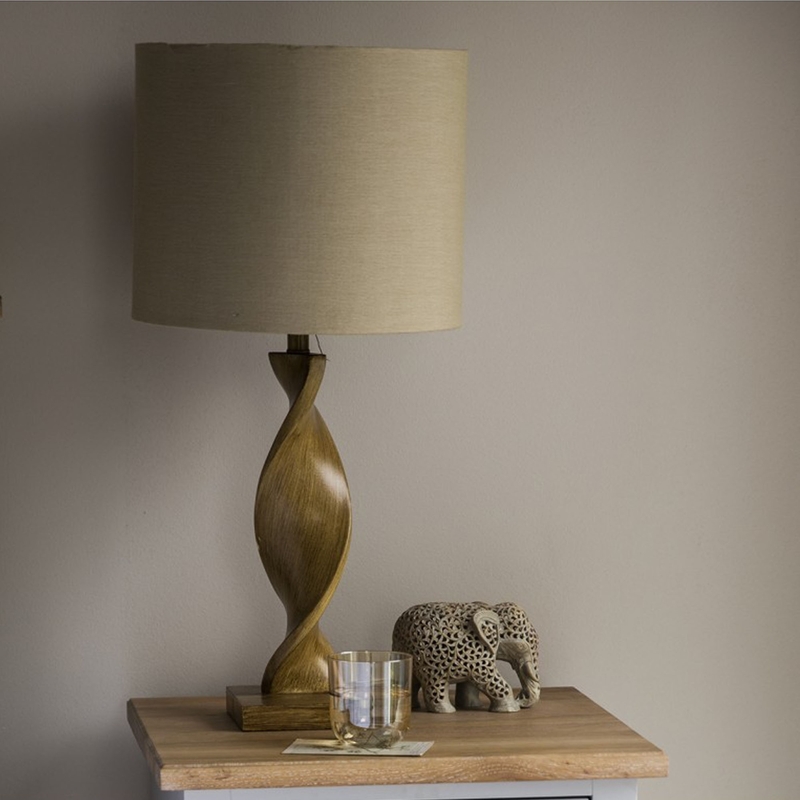 Featuring a stunning sleek twisted design with a natural linen fabric shade, this lamp is sure to impress. Handcrafted from by experts using only the finest of materials, this lamp adds elegance and style in any room of your home.